The outdoor camping weekend was touted as ” the greatest salty meat, campfire cooking, big fartin, Jesus praising weekend ever.” I accepted the invitation of my good friend Mark ” the Shark” Sauers to attend this event and Greg Nass, the organizer, is an old friend from my mountain biking days with the Dirt Rag Magazine crew. 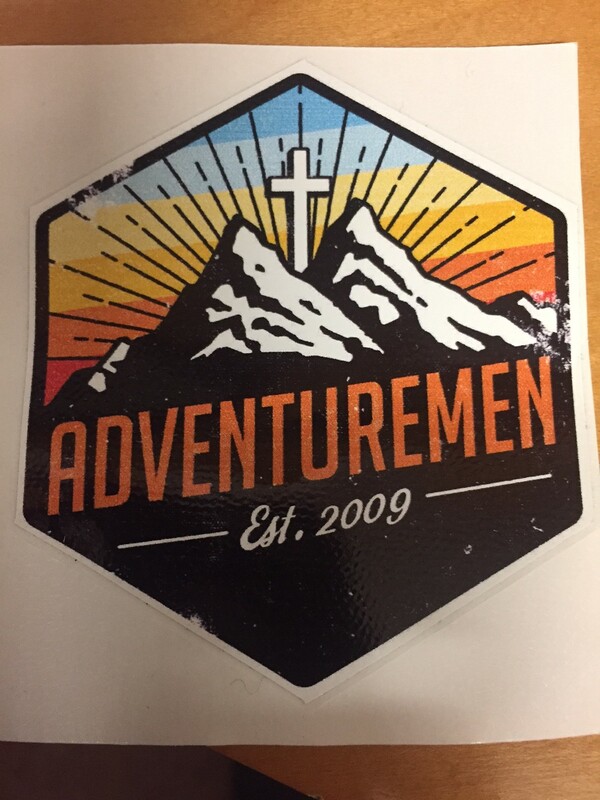 Now I have been to a lot of church outings in my life but this one was intriguing because of the camping aspect( I love sleeping under the stars in my dome tent), and also the chance to ride mountain bikes at the nationally famous Allegrippis Trails at Raystown Lake, Pa. But little did I know the impact of this weekend on me courtesy of a bunch of axe throwing, Harley riding, arrow shooting, hiking, biking, sinners from all over the tri-state area. Pulling in Friday night, the Shark and I set up our campsite on a wooded part of the 350 acre Agape Farm and Retreat Center. 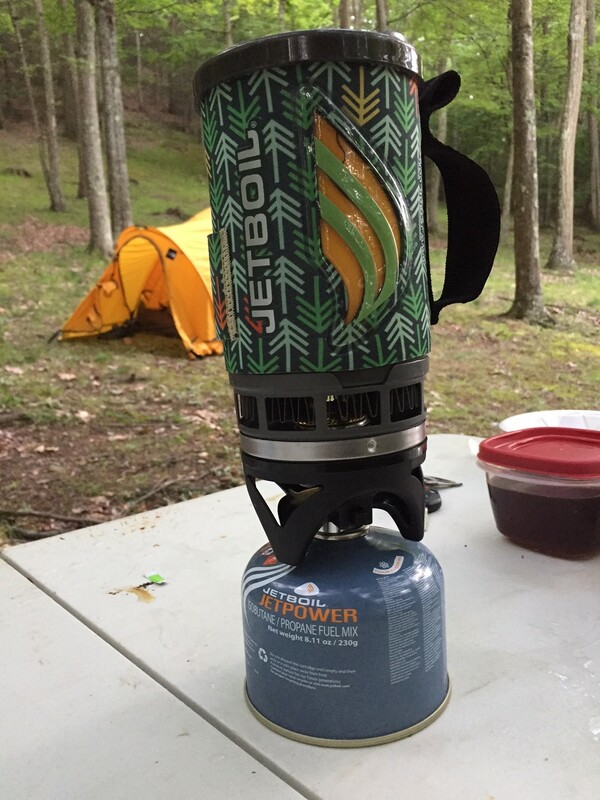 Once I had my Jet Boil fired up and cooking some freeze dried cuisine courtesy of the REI camping department on the South Side of Pittsburgh, we made our way down to perhaps the largest bonfire that I had ever seen in my life. 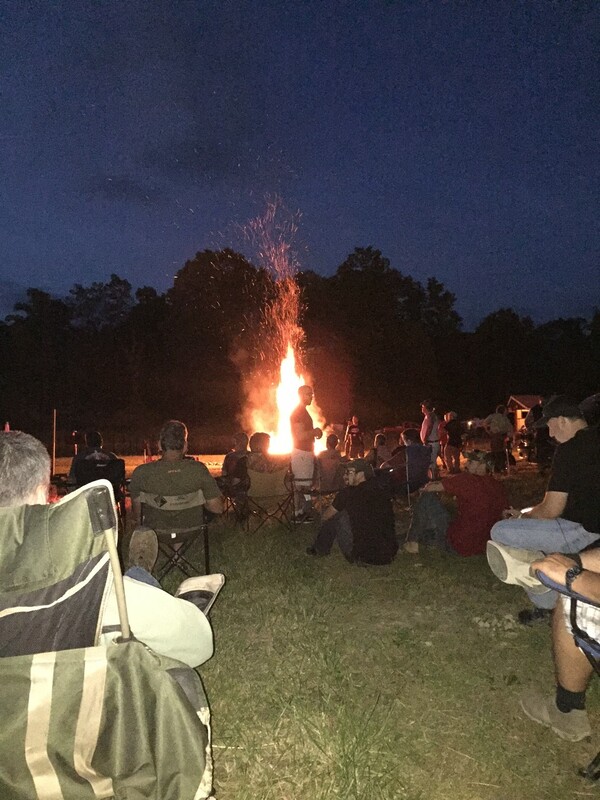 Testosterone was high as the men sat in their camp chairs taking in the fire and listening to the opening remarks from Greg Nass. After the intros were given, we were asked to welcome the first speaker of the weekend, Pastor Jerry Conley, who came roaring into the site in his Harley, floppy hat, goggles, and pipes blazing. His group the Midnight Riders accompanied him and as he began to tell his story, the group was gripped with his testimony relating to his life before he came to be a believer in the redemptive story of Jesus. One of the misconceptions of Christians these days is that they are condescending and look down on people thinking they are better than the next guy, preachy, pointing fingers. But nothing could be further from the truth with these guys who all recognize their faults and the need to have a Savior in their lives. The Christian message is really a wonderfully freeing message and this seemed to be the theme of the weekend. Pastor Tom Rees spoke on relationships and also gave a great visual of sharing the Gospel in the proper manner. I asked the Shark how he spreads the good news of the Gospel without offending anyone. He said he treats it like he is sharing the good news of a good restaurant in a town where a friend will be visiting. They don’t have to eat there and he doesn’t brow beat them into eating there. He just shares with them the message because he cares for them. He said, “Paddy- don’t I care for you? 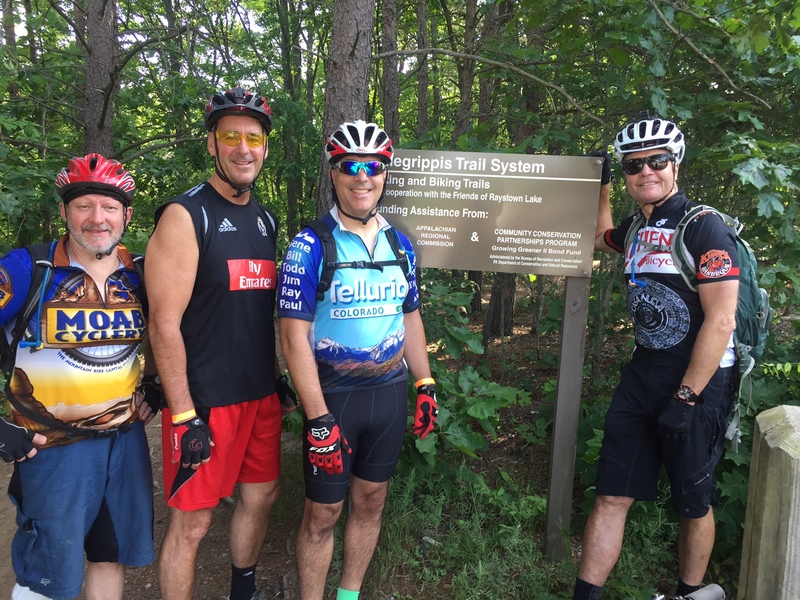 Wouldn’t I want to share news of a great pair of skis with you?” I sat in amazement at the commitment and the caring spirit of the Shark which only got better as we made our way to Raystown Lake the next morning to ride the trails of Allegrippis. 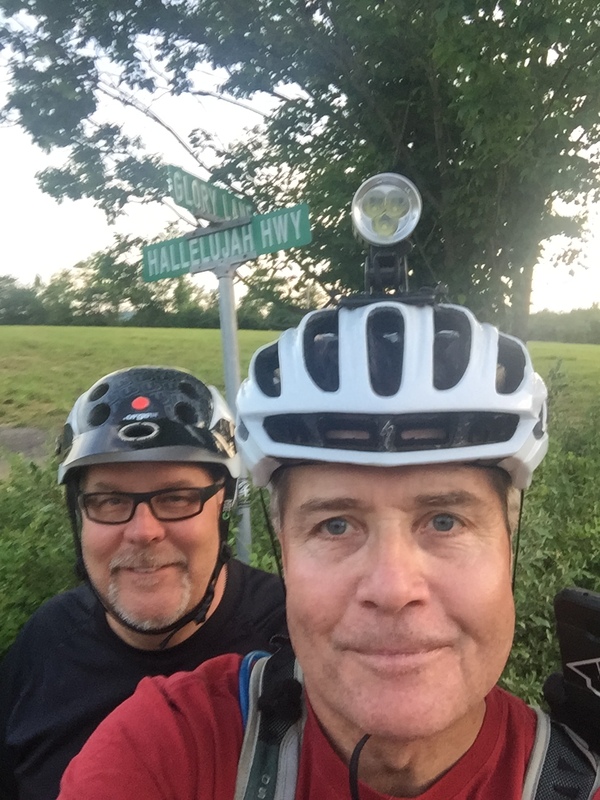 We ended up riding with a good rider from West Virginia named Roger, and a pastor from Leechburg, Todd, and his friend Bill. 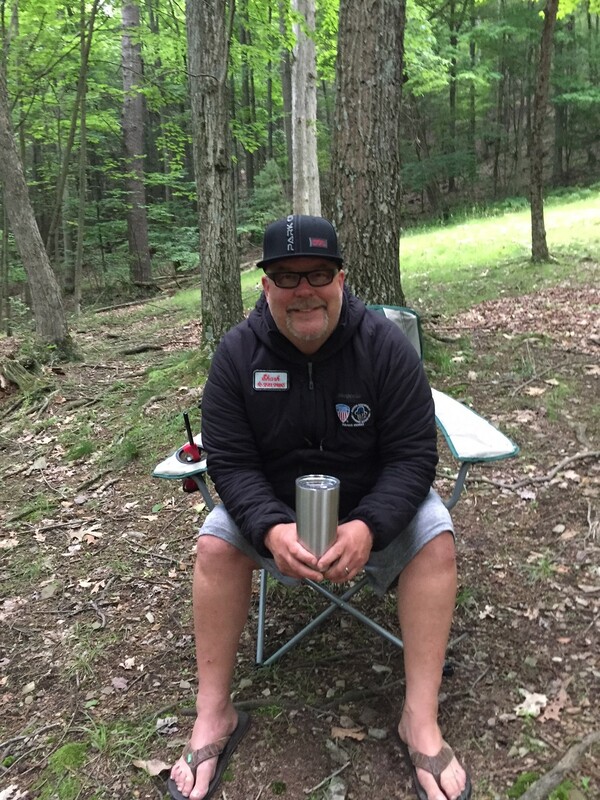 Turns out Todd roasts his own coffee and is a good road and mountain bike rider and his friend Bill had a lot of experience riding as well. 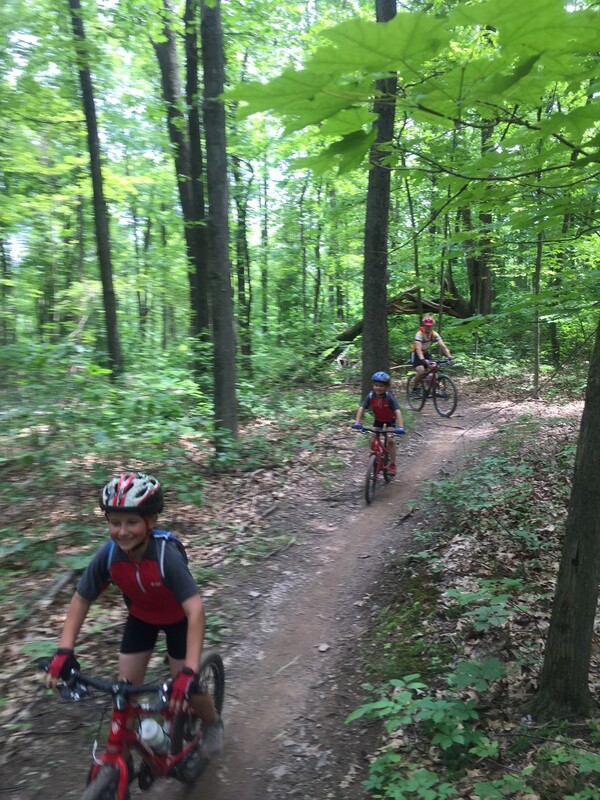 We were treated to dry, flowy trails with lots of interesting transitions and scenic views of Raystown Lake. Halfway through the ride, The Shark pulls over and shares his testimony of his mission trip in the Amazon jungle. Todd, Bill, Roger and I sat in silence as we listened to the stories of anacondas, aggressive native tribes and the danger of sharing the Gospel. Looking to each side of us I noticed a guy that had stopped with his four kids and two other random guys listening to Shark’s story. We all remarked that those kids were wide eyed and you never know unless you put it out there, what impact you might have by sharing the message of Christian salvation. Believe in what He did for you. John 3:16. Again, I sat in silence and watched the Shark in action. An amazing person not afraid or embarrassed in the least. Good News shared. 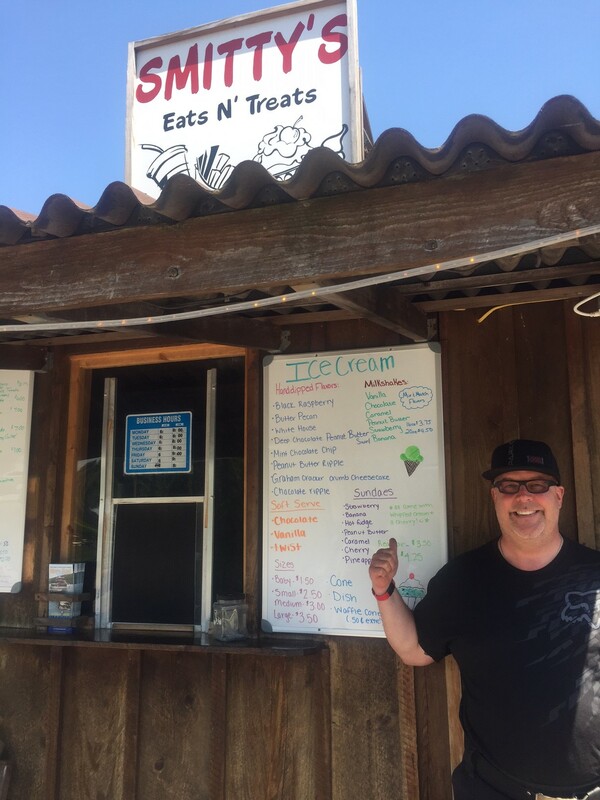 We treated ourselves to a great lunch at Smitty’s Eats and Treats. Perhaps the best pork bar-b-que sandwich I had ever eaten made with fresh pork from a local farm. 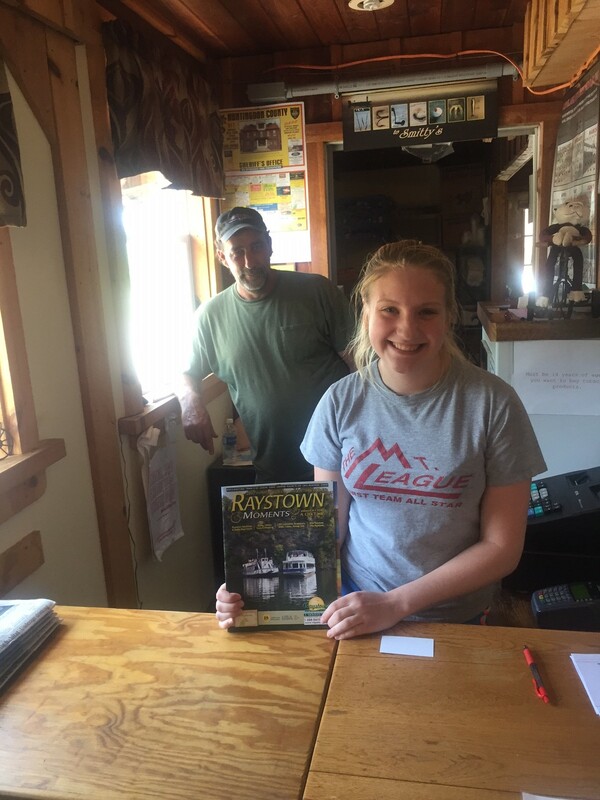 The young lady working the counter was delightful and if you ride Raystown, stop in and see Smitty. Good guy with great food. 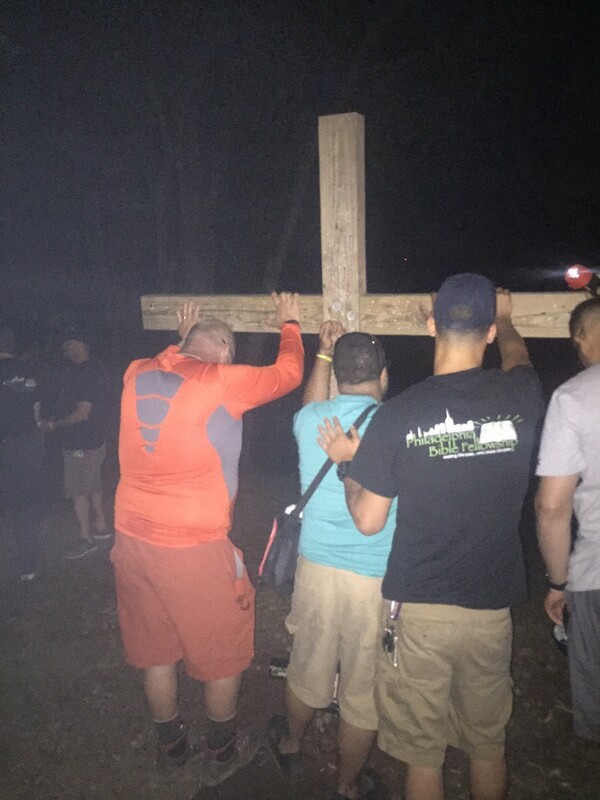 Saturday night, there was a midnight hike to a large wooden cross at the top of the mountain. As the inner city guys from Front Street Community Church and the Philadelphia Bible Fellowship hiked up that trail, lots of them had joyous hearts knowing that they had been saved from the brink of disaster. I realized that I lead a sheltered life when I heard the stories of drugs, violence, guns, and alcoholism. I saw tough looking inner city guys kneeling at that cross crying out of thankfulness and when the Pastor conducting the service asked all of us to pound a nail into that cross symbolizing that we are leaving all of our guilt and shame up on that cross on that mountain, the vision of those city tough guys was nothing short of amazing. Tattoos and tears!!! Wrapping up Sunday with a great message by Pastor Robert Bennett of Jakes Run Assembly of God in West Virginia, I learned something that I had not known. When Joshua defeated the enemy at the Walls of Jericho, he screamed at the end of the battle……Tetelestai!!! !- it is finished. The same words uttered by Christ when He finished his mission on the cross. Tetelestai!!!!! It is Finished. You don’t do anything……He did it. All you do is believe. Again- I sat in silence contemplating what I had seen that weekend. I would recommend Adventure Fest to anyone who wants to hear the Good News in an incredibly beautiful setting. For more information, check out http://www.adventuremen.org These mountain biking, air gun shooting, Harley riding, RV driving, archery and camping guys are sure fun to hang with. Thanks for reading and thanks to the Shark for many things. This entry was posted in camping, Christianity, Faith, Friendship, Inspiration, Motivation, Mountain Biking, outdoor activities, Outdoors, trails and tagged Agape Farm and Retreat Center, Allegrippis Trails, Raystown Lake, Smittys Eats and Treats - Raystown Lake, www.adventuremen.org. Sounds like a great experience for you, it’s powerful to see those tough city guys with real problems come to faith. Awesome post, great witness! Thanks Shark. camping with a message. I love it! This makes life meaningful when you spread the word. Nice to hear such good news!